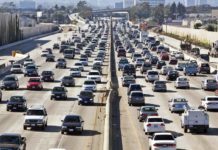 Do you live without a car? Congratulations. You’re among a growing cohort of Americans for whom the term “car trouble” has no personal relevance. For everyone else, car trouble is all too real – and often hits all too close to home. Whether you own a new or used car, you’ve probably experienced your share of car problems: unexpected breakdowns, unexplained noises, persistent mechanical defects, or accidents caused by unsafe road conditions or human error. These issues are inconvenient, expensive, and potentially hazardous to your personal safety. The good news is that you don’t have to face them alone. For more than a century, the American Automobile Association (AAA) has provided invaluable support – including free roadside assistance and towing – for millions of drivers across the country. AAA membership starts at about $50 per year and ranges as high as $200 per year, depending on your level of service. If you own your own car and drive regularly, it could be a wise investment. Here’s what you need to know about AAA membership, how to decide whether it’s right for you, and how to get the most for your due. AAA is a nonprofit federation of regional automotive “clubs” collectively serving the entire United States. In Canada, a similar network operates under the aegis of the Canadian Automobile Association (CAA). AAA launched in Chicago in 1902. Its Canadian counterpart followed about 10 years later. Initially conceived to advocate for better road and refueling infrastructure, AAA soon began providing information and educational materials for its individual members: road maps, driver education curricula, driver and pedestrian safety supplements, and even traffic safety research (under the AAA Foundation for Traffic Safety, a separate but closely related organization). As the American highway network grew and improved in the years following World War II, AAA ramped up its lobbying and legislative efforts in Washington, D.C. In the 1960s, it played a crucial role in the drafting of two landmark pieces of automotive safety legislation: the National Traffic and Motor Vehicle Safety Act of 1966 and the Highway Safety Act. Both set critical standards for automobile manufacturing, road safety and maintenance, signage, and driver licensing. By the 1980s, AAA’s road maps were recognized as the gold standard for long-distance travelers in North America. The following decade, AAA spearheaded one of the first large-scale tests of in-car navigation systems. As gas prices rose in the new century, the organization returned to lobbying – this time to advocate against reducing or eliminating the federal gasoline tax, which provides essential funding for road and bridge infrastructure in the U.S. However, throughout its long history, AAA has never strayed far from its original mission: helping drivers get where they’re going quickly, safely, and conveniently. AAA is a nonprofit federation comprised of (and collectively owned by) more than 40 regional clubs. Consolidation has steadily reduced the number of active clubs – at one point, some parts of the country had a different AAA club for every county, but today’s clubs tend to claim entire states or contiguous, multi-state territories. For instance, AAA Mid-Atlantic covers Delaware, Maryland, Washington, D.C., and parts of Virginia, Pennsylvania, and New Jersey. Most AAA clubs have multiple physical locations scattered throughout their service areas. These locations sell maps, travel literature, and other merchandise, plus travel products such as passports and international driving permits. AAA’s roadside assistance calls and other automotive services are provided by a network of AAA-approved contractors, usually auto repair shops and towing companies. To find your regional AAA club and the closest outpost to your home or office, enter your ZIP code into AAA’s club finder tool. AAA has three main membership tiers: Classic/Basic, Plus, and Premier. It also offers RV coverage that can be added to Plus and Premier memberships. AAA membership dues are typically charged annually. 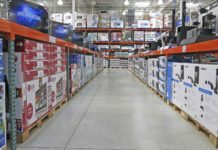 Similar to warehouse clubs such as Costco, AAA household memberships have one primary member (who pays higher dues) and multiple associate members. Classic is the lowest price point and Premier is the highest, but actual annual costs can vary significantly between clubs. For instance, primary AAA Minneapolis Basic members pay $82 per year, plus $25 per associate member, while AAA Mid-Atlantic Classic members pay $52 per year and nothing for associate members. Membership dues are also subject to change over time, and most clubs guarantee dues only for the first year. In some cases, clubs levy a one-time sign-up fee that’s typically lower than the annual membership cost. AAA Minneapolis bundles a $15 sign-up fee into the first-year rate, for instance. 24/7 Roadside Assistance: This is AAA’s flagship benefit. Classic/Basic and Plus members are typically entitled to at least four complimentary roadside assistance calls per year. Calls above the four-per-year limit are the financial responsibility of the member, and typically cost north of $50. During roadside assistance calls, responders provide a variety of services: jump starts (using mobile battery jump start units), complimentary battery testing, flat tire replacement if a usable spare is available, and minor mechanical repairs on the spot. Roadside assistance services are transferable to vehicles not owned by the AAA member – for instance, if you’re riding in a friend’s car and it breaks down, you can use your AAA benefit at no charge to your friend. Roadside assistance services are also available for pedal-powered bikes – a useful perk for habitual bike commuters. Towing: When the member’s car is disabled or can’t be driven safely, AAA covers the cost of towing it back to the responder’s facility, or to a facility of the member’s choosing within five miles of the car’s current location. Actual towing costs vary, but this benefit can easily be worth more than $100 per use. Out-of-pocket fees apply for longer tows. Rental Cars for Towed Members: Members whose cars have been towed as part of a complimentary service call (limit four per year) are entitled to rental car discounts for the duration of any necessary repairs. This benefit is limited to Hertz rentals and is generally worth 20% to 25% off the sticker price of the rental. Vehicle Lockout Services: Members who’ve been locked out of their vehicles due to lost or stolen keys are entitled to $75 off the necessary locksmith services. If the total bill is less than $75, there’s no charge. Fuel Delivery: Members who’ve run out of gas are entitled to complimentary fuel delivery from a nearby gas station, provided they pay full price for the delivered gas. Extrication: Members who’ve run off the road and subsequently become stuck in mud, snow, sand, or other difficult-to-navigate terrain are entitled to extrication and winching service from one “normally equipped” service vehicle – usually a tow truck equipped with a heavy winch capable of dragging a car. This benefit doesn’t apply to street- or driveway-parked cars that have been temporarily immobilized due to snow or flooding. Discounted CARFAX Reports: Classic/Basic members get 20% off CARFAX reports (which detail used vehicles’ ownership, accident, and repair history) ordered online. A single CARFAX report typically costs $40, so this benefit is worth $8 per report. Basic Travel Insurance Coverage: This tier comes with two basic travel insurance coverages: trip interruption protection worth up to $100 per individual or $500 per family and travel accident coverage up to $100,000. Bicycle Service: This inclusion is essential for bicycle commuters and recreational cyclists alike. It includes bike repair and shop transportation (towing) within a five-mile radius. Travel Store Discounts: Members get 10% discounts at AAA’s Travel Store. Bear in mind that these discounts and inclusions are subject to change at any time and within the AAA network. For instance, the exact vehicle lockout discount may vary by market. Plus Towing: Plus members get complimentary towing to the auto repair facility of their choice, up to 100 driving miles per service call. This provides a much greater range of choice than the Classic benefit, which only allows towing to non-responding providers within three miles. Plus Locksmithing: Plus members’ complimentary locksmithing benefit is worth up to $125. Plus Travel Insurance: Both coverages are doubled from Basic. Complimentary Passport Photos: Plus members are entitled to two complimentary sets of passport photos per year. Plus Bicycle Service: Plus members enjoy bicycle towing up to 100 miles. Fuel Delivery With Free Gas: Plus members get complimentary fuel delivery with enough free gas to get them to a gas station. In isolated areas, this can amount to several gallons. Heavy-Duty Extrication: Plus members get an extra-potent extrication benefit: two normally equipped service vehicles with winches and other extrication equipment. This may come in handy for heavier vehicles and those that have become badly stuck. RV Endorsement: Plus members can add an RV endorsement (technically known as “RV membership”) for approximately $30 more per year. The RV endorsement extends AAA’s roadside assistance, towing, and other vehicle-related services to RVs, motorcycles, and boat trailers. Plus Travel Store Discounts: Plus members get 15% off AAA Travel Store purchases. Complimentary Battery Replacement: Premier members get one free battery replacement per year. That’s a potential value of $100 or more, depending on the battery type. Premier Roadside Assistance: Premier members are typically entitled to at least five complimentary roadside assistance calls per year. Premier Towing: Premier members get complimentary towing to the auto repair facility of their choice, up to 200 driving miles on one service call per year and 100 miles on the remaining service calls. Premier Locksmithing: Premier members’ complimentary locksmithing benefit is worth up to $150. Complimentary Rental Car Booking: Premier members whose cars have broken down are entitled to complimentary rental car booking assistance from AAA agents, plus one free day on their Hertz rental. Subsequent rental car days are charged at the discounted price (20% to 25% off). Home Lockout Service: Once per year, AAA Premier members get up to $100 in complimentary locksmith services at their primary residences when their keys are lost or stolen. Covered services include lock drilling, re-keying, lock changes, and key duplication up to $100 total. Services charged in excess of $100 are the responsibility of the member. Complimentary CARFAX Report: Premier members get one complimentary CARFAX report per year, plus 40% discounts (worth approximately $16 per individually ordered report) on any additional reports. Premier Travel Insurance: Premier’s coverages are tripled from Basic. Premier Travel Store Discounts: Plus members get 20% off AAA Travel Store purchases. If you agree to pay the full cost of the replacement battery, AAA service providers will provide it without counting toward your annual roadside assistance allowance. AAA offers a variety of free or reduced-cost travel agency services, including personalized trip planning, admission discounts at popular attractions, travel booking (including airline, hotel, rail, and other modes), tour and cruise planning and booking, group travel arrangements, and international travel guides. Service charges may apply for certain travel booking services. AAA offices can issue international driving permits at “special member pricing” – a variable discount to full price, which can vary from office to office, but typically ranges around $20 per permit. Permits require two passport-sized photos and a valid driver’s license, and can be issued while you wait. All AAA members get special discounts on vehicles rented with Hertz. Discounts can be as little as a few percentage points or north of 20%, depending on the location and vehicle models. All AAA members get complimentary Hertz Gold Plus memberships, which normally cost $60 per year. Gold Plus members get expedited checkout, the ability to change their vehicle choice on the spot, and other useful benefits. AAA Plus members get 675 complimentary Hertz Gold Plus Reward Bonus points. AAA Premier members receive 1,100 complimentary points. AAA members get a slew of exclusive discounts and deals with thousands of partner merchants, including national companies such as Sprint and Best Buy. Deals vary by merchant and product, but can range as high as 50% off full price. To claim their discounts, members typically must present a valid AAA member card in person or enter the number in the online checkout portal. Useful domestic travel materials such as road maps, local guides, and planners are free with AAA membership. International travel materials pertaining to Europe and other regions are free for Plus and Premier members, and 50% off the cover price for Classic/Basic members. You can buy at an AAA office or order online. Some AAA clubs offer insurance products from AAA-affiliated insurers: Automobile Club Inter-Insurance Exchange, Auto Club Family Insurance Company, and AAA Life Insurance Company. Products include life insurance, homeowners insurance, renters insurance, auto insurance, and excess liability insurance. AAA claims that its insurance products are cheaper than other providers’, but there are many variables at play and it’s difficult to speak generally about the depth of any potential discounts. 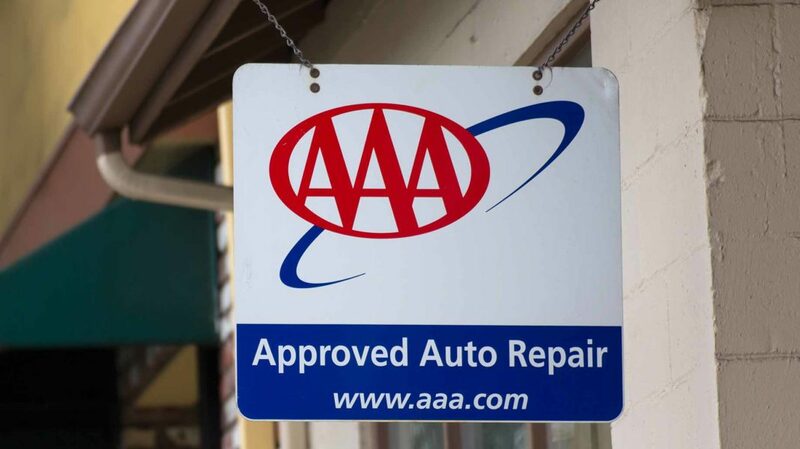 Upon request, all AAA members can get 10% off parts and labor charges at AAA-approved auto repair providers, which display the telltale AAA logo in their shop windows. This benefit is capped at $50 on each repair job. Remember that it’s not automatically applied – you need to verbally request it and display your current-year AAA member card. AAA-approved auto repair providers are also required to guarantee any repairs they make for two years or 24,000 miles, whichever comes first. AAA members get complimentary identity theft monitoring, which includes daily Experian credit report monitoring, email alters of suspicious activity or changes to that credit report, and fraud resolution support following a potential incidence of identity theft. Premier members also get $10,000 in identity theft insurance. These services are offered through ProtectMyID, an Experian subsidiary. Premier members have access to dedicated travel concierges while they’re on the road. Concierge services include local weather reports, reservation assistance (including golf tee times and restaurant bookings), car rentals, entertainment ticketing, and more. They can also take advantage of AAA’s emergency travel assistance services, which include prescription replacement, translation, lost ticket and document replacement, cash transfers, medical transportation, and medical appointment arrangements. Remember that every AAA club is different, and some may offer additional services not mentioned above. For a complete picture of what your local club can or cannot do for you, visit its website or call its local customer service hotline. Many auto insurance companies offer roadside assistance, towing, fuel delivery, extrication, and other driver assistance services for free or at reduced cost. Depending on their cost and how often they’re used, these could be a better deal than AAA’s roadside assistance services. These six national insurers offer a representative look at what’s out there. Basic: Available on any vehicle in which a policyholder is riding, whether they own the vehicle or not. Includes complimentary fuel delivery (not including the cost of gas), battery jump starts, towing within 15 miles, ditch extrication, flat tire replacement with a usable spare, and locksmith services up to $100 per incident. Plus: Available for covered vehicles only. Includes towing within 15 miles and up to $500 in trip interruption coverage that reimburses for food, lodging, and alternative transportation when policyholders are stranded at least 100 miles from home. Allstate Motor Club: This is Allstate’s answer to AAA. Available to the general public, not just Allstate policyholders. The Roadside Advantage Plan ($5 per month and $52 for the first year) includes up to $100 in complimentary roadside assistance services (lockouts, gas delivery, jump starts, and towing), plus $500 in arrest bond coverage, $750 in trip interruption coverage, and exclusive discounts with travel partners. The Platinum Elite Plan ($8 per month for the first year) includes up to $250 in complimentary roadside assistance, unlimited towing, RV and motorcycle coverage, $2,000 in arrest bond coverage, $1,500 in trip interruption coverage, and free CARFAX reports. Good Hands Rescue: Available to everyone, including non-Allstate policyholders. This pay-as-you-go scheme sets fees for basic roadside assistance and towing services. Costs for lockouts, gas delivery (not including the cost of gas), jump starts, and tire changes start at $69 per incident. Towing costs start at $99 per incident, plus $4.25 per mile over five miles. These prices are subject to change without notice. Policy Add-on: Available only to Allstate policyholders. Includes 24/7 roadside assistance services, such as jump starts, gas delivery, and flat tire replacement, as well as towing to nearby auto repair facilities. The cost varies depending on location, covered vehicles, existing policy parameters, driving record, and other factors, but is likely to be at least $10 more per year. Progressive’s roadside assistance coverage is available as a policy add-on. Its cost varies widely, depending on driving history, vehicle make and model, location, bundles, and other factors. However, you can expect it to add at least $10 per year to your policy costs. State Farm’s emergency road service is available as a policy add-on or on an à la carte basis to current policyholders who haven’t purchased the add-on in advance. The add-on typically costs at least $10 per year, while à la carte services are available at special rates negotiated by State Farm. Timely Service in a Variety of Emergencies. AAA’s flagship roadside assistance service is available 24/7. Whether you’re on a rural highway in the middle of the night or an urban freeway in the middle of rush hour, you can rely on AAA to answer your distress call and dispatch in-network assistance in a timely fashion. Can Dramatically Reduce the Cost of Owning Older Cars. Depending on the timing of the call (after-hours service usually costs more) and the distances involved (longer jobs cost more), an emergency tow can cost anywhere from less than $50 to well over $100. That means a single complimentary tow per year is usually sufficient to cover the cost of a Classic membership. If your primary vehicle is an older car that’s prone to breakdowns or battery issues, you’re likely to need at least one tow per year – probably more. You’ll also probably need other complimentary or discounted AAA services, such as locksmithing, rental cars, jump starts, and battery replacement. AAA won’t cover the full cost of repairing mechanical defects, replacing old parts, or replacing your car entirely, but it can definitely reduce incidental car ownership costs that would otherwise eat away at your household budget. Can Be Used With Any Vehicle. When it comes to servicing nonmembers’ vehicles, AAA sticks to a “don’t ask, don’t tell” policy: their customer contact staff won’t ask if you own the car that needs service, as long as you don’t make it obvious that it’s not yours. I freely admit to using my own AAA membership to help friends in need, and I’ve never been challenged or questioned. Includes Potentially Valuable Travel Benefits and Merchant Discounts. AAA Premier members can take advantage of potentially valuable travel benefits, including trip interruption and cancellation insurance and global emergency assistance. All AAA members have access to free or low-cost travel agency services, plus discounts with thousands of merchants around the country and world – some of which slash as much as 50% off list price. For diligent members who travel often or spend liberally with partner merchants, these benefits and discounts alone are likely to cover the cost of membership. AAA Offers Its Own Insurance Products. AAA provides its own auto, home, life, and excess liability insurance policies. Though it’s difficult to generalize about the extent of any potential discounts, AAA claims that these policies are cheaper for members than comparable products offered by competing insurers. Has a Trusted Network of Auto Repair Partners. AAA has a trusted network of auto repair facilities that provide 10% discounts ($50 max on jobs worth more than $500) to AAA members. That’s a substantial break on the cost of essential or recommended auto repairs. Plus, AAA-approved repair providers are required to guarantee their work for two years or 24,000 miles, providing valuable peace of mind for folks who own older vehicles. Not Cost-Effective for Infrequent Users. If your car is in great working order and you don’t regularly take advantage of value-added services such as travel booking, insurance coverage, merchant discounts, and home lockout assistance, you’re probably not going to get your money’s worth out of AAA membership at any price point. While a case can be made for carrying AAA membership solely for the merchant discounts, it takes some effort (and remembering) to maximize those on a consistent basis. And if you don’t spend heavily at AAA partner merchants, those discounts won’t matter anyway. Classic/Basic Membership Perks Aren’t Nearly as Generous. AAA Classic/Basic membership does come with four complimentary roadside assistance calls per year, but many of its other benefits are less generous. For instance, its vehicle lockout coverage is only worth $60 per visit, which likely isn’t sufficient to cover long or complicated calls. Likewise, it lacks complimentary battery replacement, which can be worth $100 or more. And Classic/Basic members who invoke the towing benefit usually have no choice but to go to the responder’s facility, where repairs may be pricier. Costs Vary by Local Club. AAA clubs are free to set their own membership fees, so costs can vary significantly from region to region. There’s little rhyme or reason to this variation, and costs aren’t necessarily tied to local living costs, so the only way to find out for sure how much you can expect to pay each year is to check your local club’s website. Comparable Insurance Company Services May Be More Cost-Effective. Some insurance companies offer better deals on roadside assistance and value-added services. For instance, Allstate’s Allstate Motor Club costs $99 for the first year and includes a host of complimentary or reduced-cost services and coverages that exceed what’s available at any AAA price point. AAA is much more than a trusted provider of free, round-the-clock roadside assistance. Members get a slew of free or discounted automotive services, exclusive or discounted travel products, member discounts on in-house insurance coverage, and more. However, these services and perks only have value when they’re actually used. Many people maintain AAA memberships for the roadside assistance benefit, and rarely or never take advantage of the organization’s other offerings. For those with unreliable cars, that’s certainly a cost-effective strategy. For members with reliable vehicles, it’s not. Before you consent to pay $50 or more per year for yet another club membership, make sure you’ll actually get your money’s worth. Are you a AAA member? Why or why not?